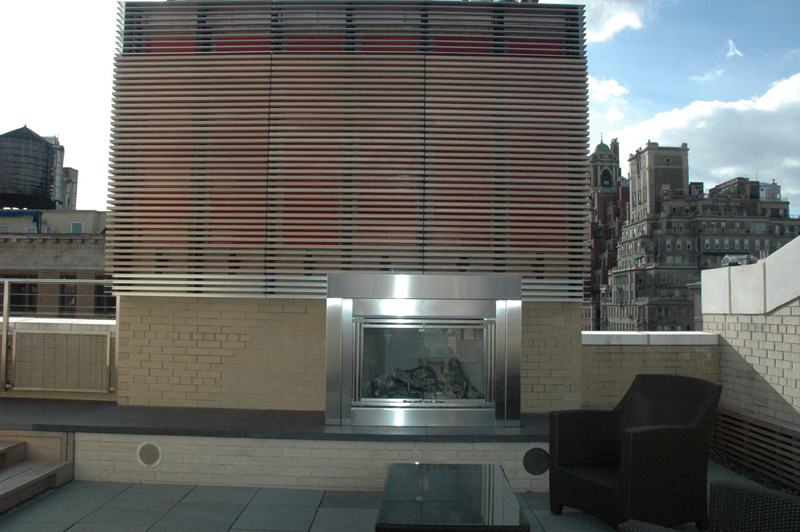 This Fireplace wall element was constructed from aluminum and was topped off with teak. Project was designed to take an ordinary brick wall and create a clean crisp modern look. 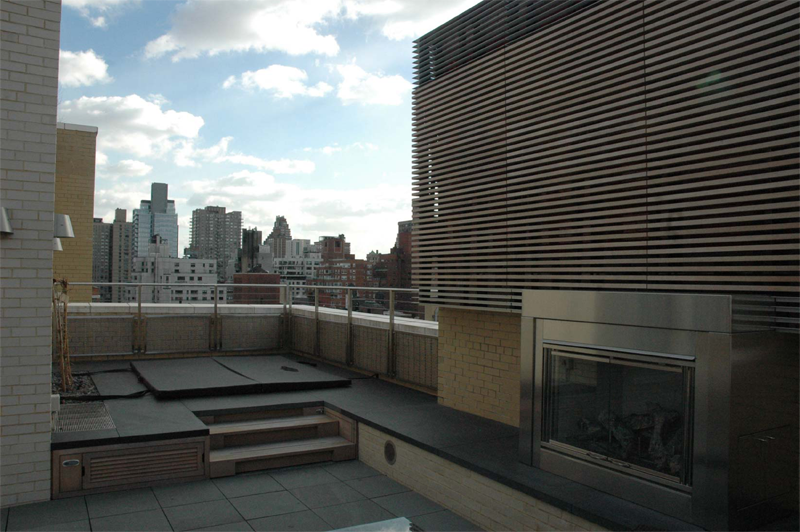 Located on a penthouse rooftop in New York City, this structure offers character to the New York Skyline.